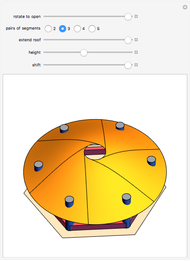 A circular dome, produced by revolving a cosine curve, is divided into congruent segments. Each segment can be rotated around a vertical axis to open the dome. 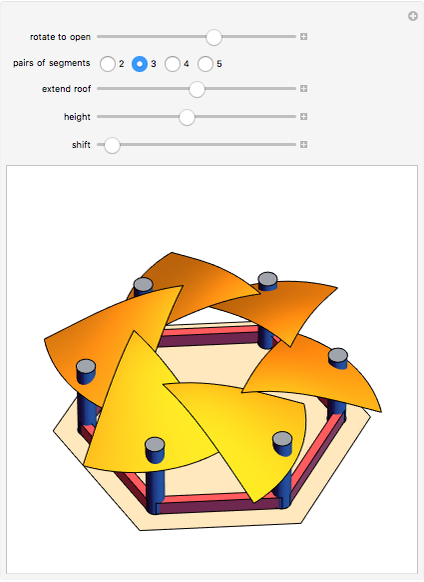 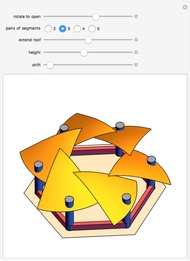 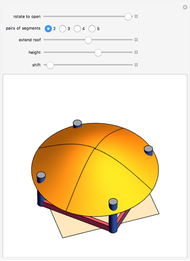 Sándor Kabai "Openable Cosine Dome"